Journey 2 hours north of Sydney and you’ll discover remote beaches, incredible waterfalls and kangaroo inhabited campgrounds. Don’t miss this introduction to the secluded beaches, breathtaking walking tracks and fresh-air adventures of the Central Coast. The views from all of these lush national parks are great for locals and international visitors alike. You’re likely to see migrating whales in wintertime and colourful wildflowers in spring. These are also important cultural landscapes, with all three national parks sheltering ancient Aboriginal engravings. Swim and fish from golden beaches, cool off beneath waterfalls, join a boating adventure, or go mountain biking and hiking. After your exertions, bunk down in a beachfront campground. It’s around 2 hours drive from Sydney to Glenrock State Conservation Area. Once you’ve checked into modern, comfortable and spacious Baileys Cottage, it’s time to go exploring. 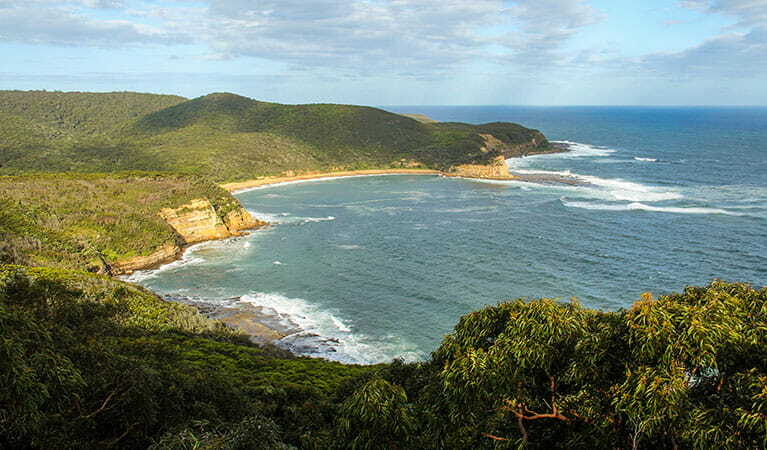 Start on the 10km Yuelarbah track, a leisurely walk through bird-filled littoral rainforest, past waterfalls and along white beaches to Nobbys Headland and Glenrock Beach. Look out for migrating humpback whales in season, get a glimpse into Newcastle’s history on the signposted Bathers Way and walk back to Newcastle through King Edward Park. Yuelarbah walking track is a great day walk within Glenrock State Conservation Area, near Newcastle. It features a lookout with scenic views, waterfalls and places to picnic. Baileys Cottage in Glenrock State Conservation Area offers holiday accommodation near Newcastle. There’s a load to do, including mountain biking, fishing and walking. Drive south to Brisbane Water National Park, which envelops rainforest, coastal escarpments and a serene expanse of inland waterways. 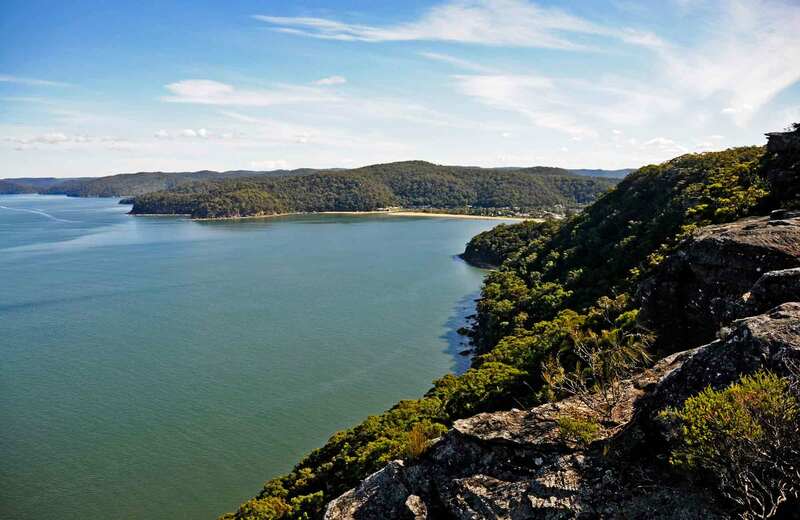 Follow walking or cycling trails and take in inspiring views across Broken Bay and the Hawkesbury River from Warrah lookout. Enjoy a barbecue picnic at Somersby Falls, visit Pelican Island Nature Reserve to see hundreds of breeding penguins and relax on the beach at beautiful Waterfall Bay. Before sunset, do the easy 40 minute drive south-east to Bouddi National Park, and set up camp at Putty Beach campground or Little Beach campground. 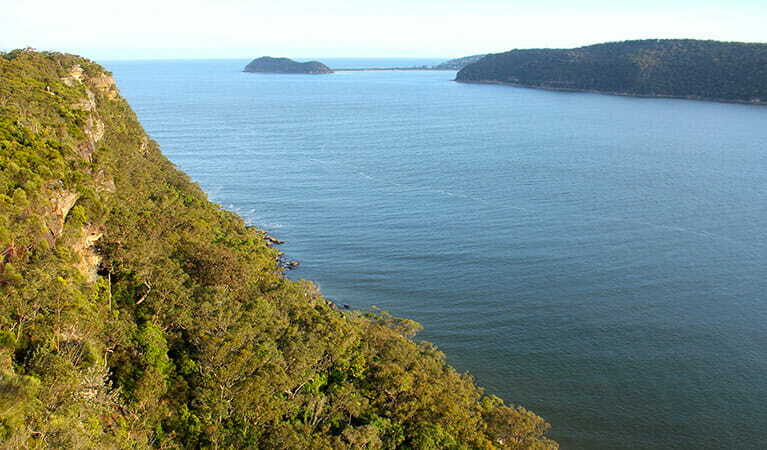 Warrah lookout, offering scenic views of Broken Bay and the Hawkesbury River, is just a short walk from the carpark. It’s a great place to see Waratahs in season. A great place to picnic on the Central Coast, Somersby Falls offers barbecues and picnic tables in a lush rainforest complete with waterfalls and a walking track. Wake to the sounds of Bouddi National Park – rolling waves and casting fishing lines. Put your hiking boots on and head out on the spectacular Bouddi coastal walk, or tackle the entire 8km between Putty Beach and MacMasters Beach. Be sure to stop at Gerrin Point lookout for panoramic views of Maitland Bay. In winter and spring, this is a great vantage point for viewing migrating humpback whales. Swimming and fishing is a must anytime from November right through summer. Bouddi National Park is located near Gosford on the New South Wales Central Coast. You'll find several great walks, as well as opportunities for camping, swimming and fishing. 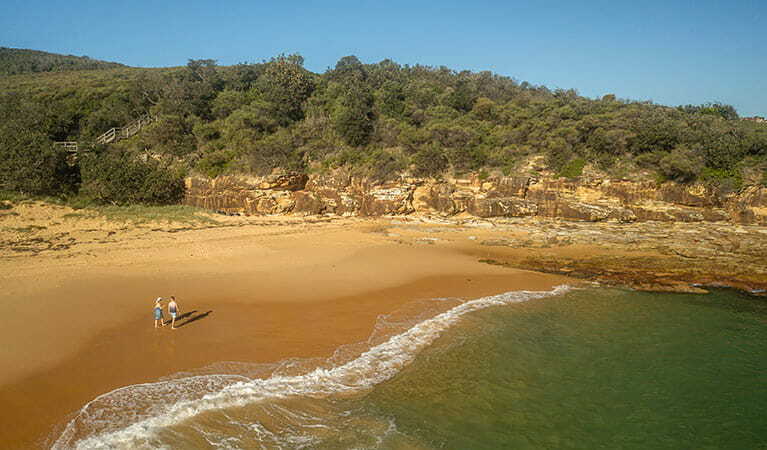 Located near Gosford, Bouddi coastal walk is known for its beaches, boardwalk and birdlife. Go whale watching, picnic or swim at Maitland Bay, or simply absorb the ocean views. Experience stunning views at Gerrin Point Lookout, a short walk from Putty Beach in Bouddi National Park on the NSW central coast. Enjoy whale watching during the winter months, birdwatching or just absorb the view.